A 25mm diameter DC metal geared motor, together with a motor bracket, a shaft connector and a multipurpose wheel. The multipurpose wheel included can be used as a timing pully, or a wheel hub, or a tank wheel. 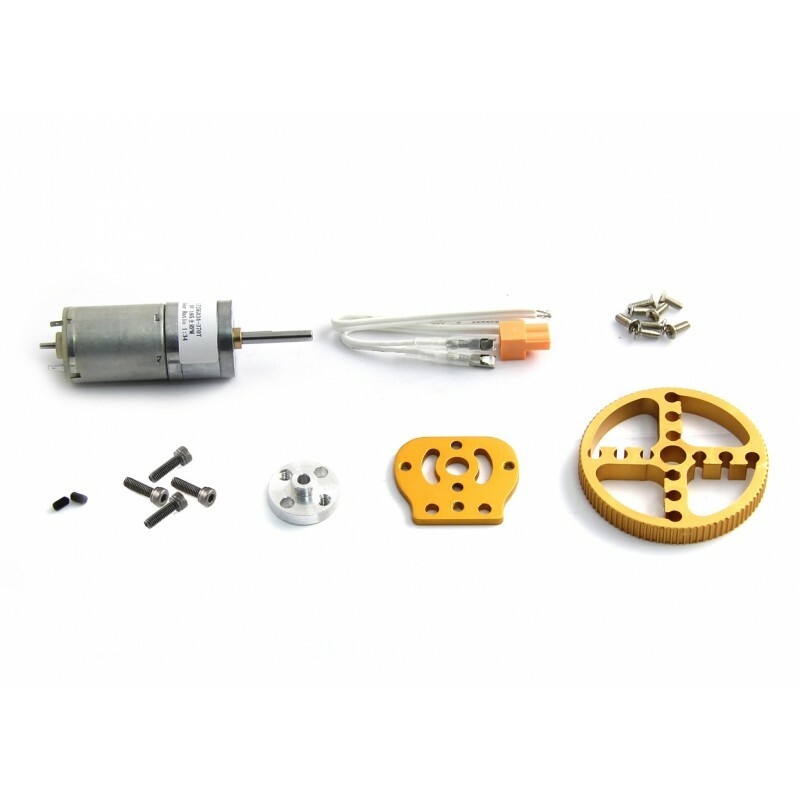 This 25mm DC Motor Pack is Blue, if you need gold version please click here. 3.1.1. Rated voltage? 6.0 V(DC)?